Dogs are audacious optimists. They do every little thing with enthusiasm and verve—manners be damned. 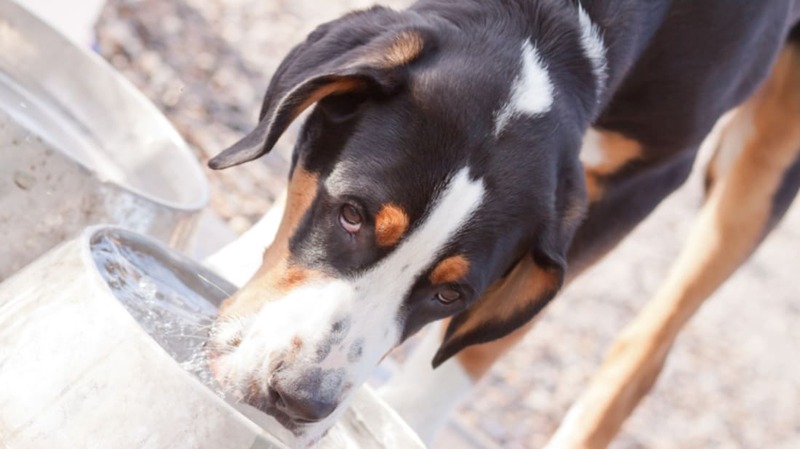 Drinking water is no exception, and anyone who has ever seen a dog lap from its water bowl on a hot summer day knows they are willing to loudly splash their way to hydration. But how does the water get from bowl to mouth? In 2014, a team of researchers led by Virginia Tech’s Sunny Jung used high-speed cameras to film dogs as they drank water from a bowl. They examined the slow-motion footage and were able to study the mechanics behind a thirsty dog’s tongue. Because dogs don’t have cheeks, they can’t create suction. To compensate, their tongues slap the water and pull it toward their maw in the form of a liquid column. As this water is suspended in mid-air, they chomp down on it and swallow, repeating the process until they’re satisfied. Silent and splash free? The world's benevolent union of thirsty dogs kindly inquires: Where's the fun in that?